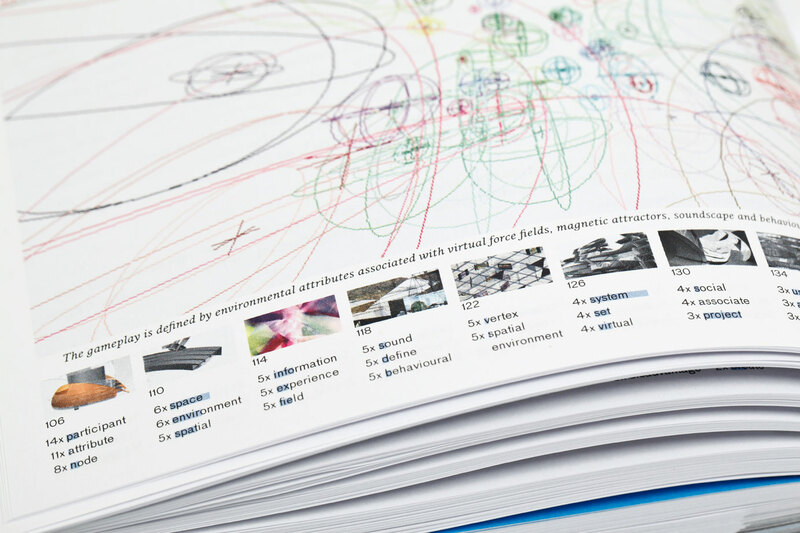 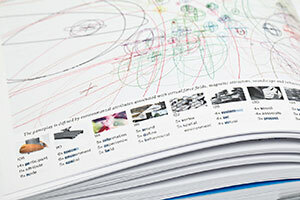 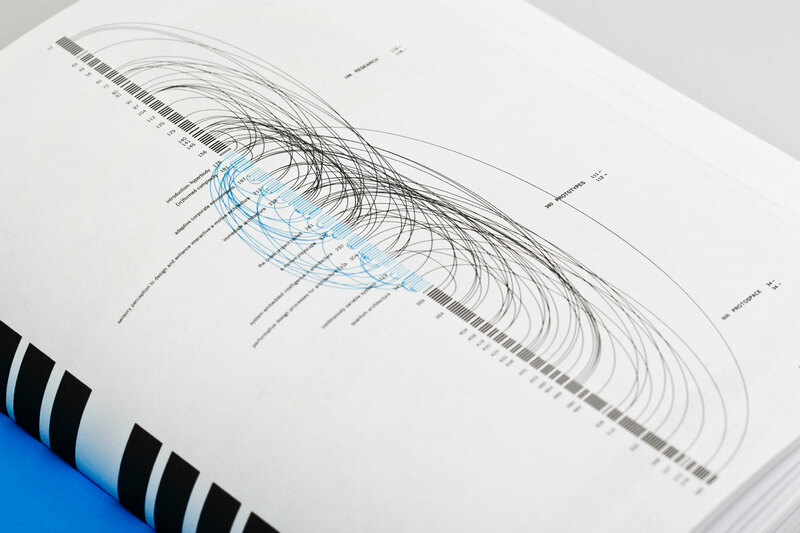 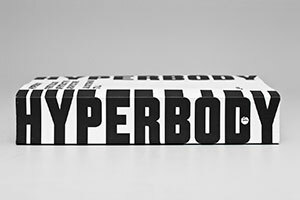 Hyperbody is a richly illustrated publication that documents the results of more than 10 years of academic research on interactive architecture conducted by the Hyperbody design group at Delft University of Technology. 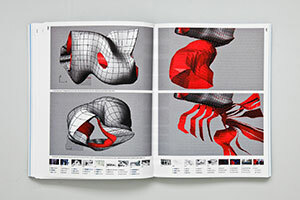 The group was set up in 2000 by Prof. Kas Oosterhuis and is pioneering in the domain of computationally driven non-standard architecture, an active, component-based system that reacts to the user and his immediate environment. 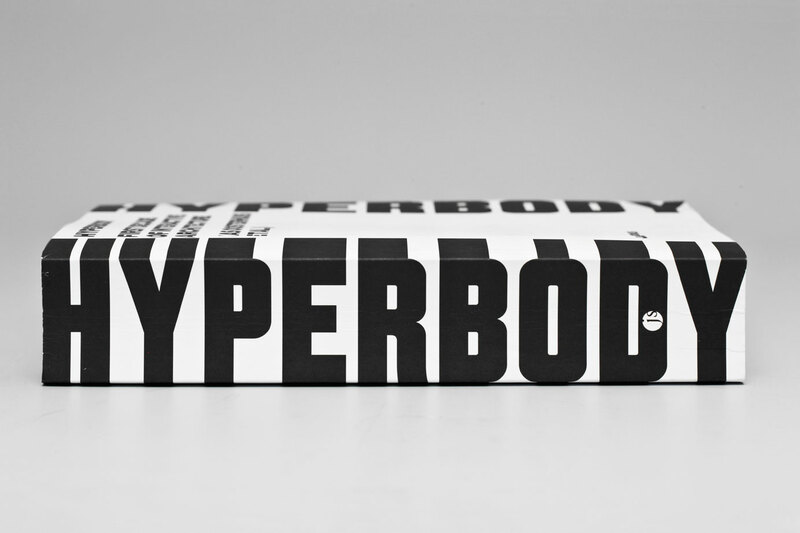 The Hyperbody publication takes its title literally, as it presents the content in the form of a non-sequential hyper-structure. 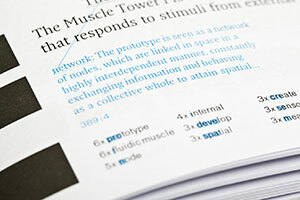 A network of references connects related pieces of information, and offers the reader the opportunity to instantly jump to other sections in the book. 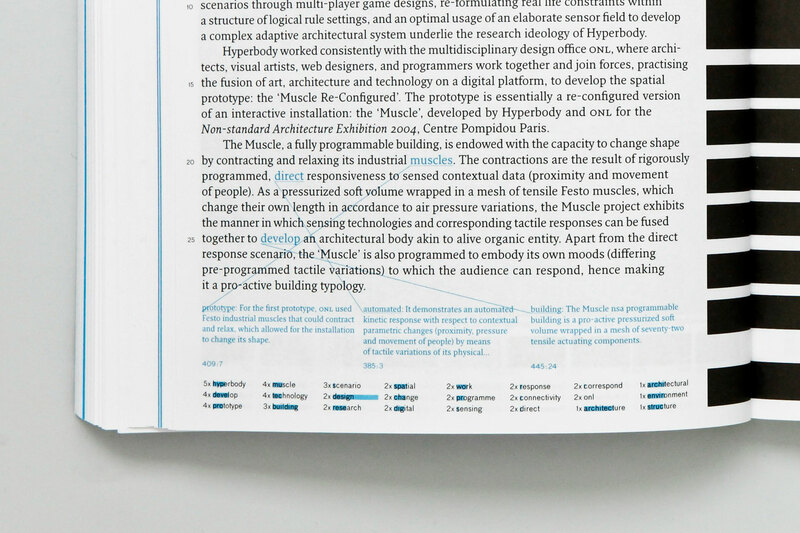 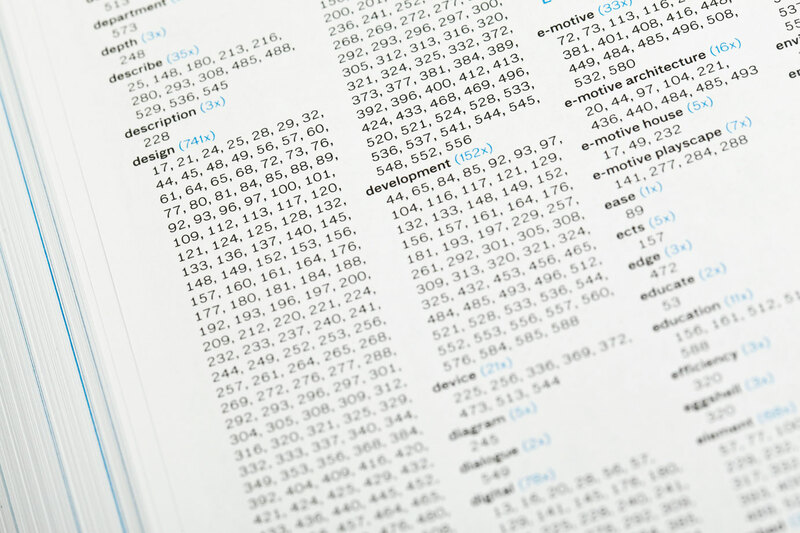 The hyperlinks were established by proprietary software that first scanned the entire content of the book and listed the most frequent keywords for each page. 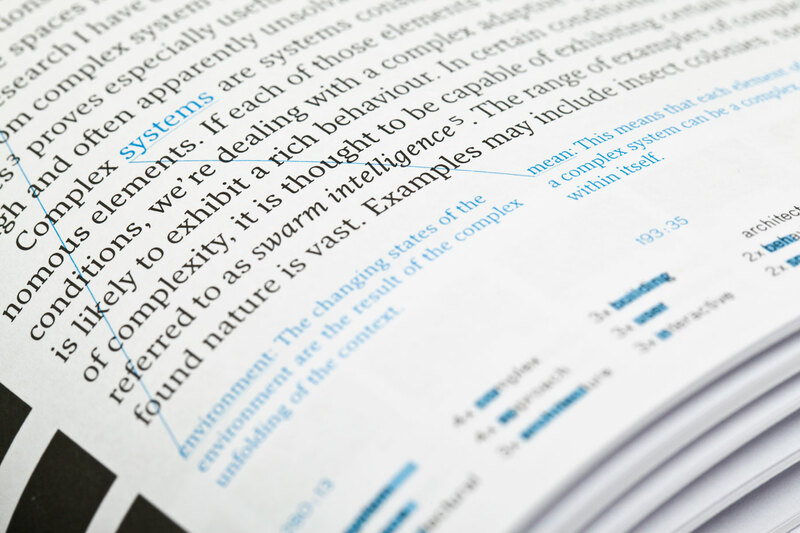 A maximum of 3 words from this page-specific list is then used to find semantically related texts on other pages and create the ultimate interactive reading experience: flipping back and forth between passages of different authors, cross-checking and comparing them. 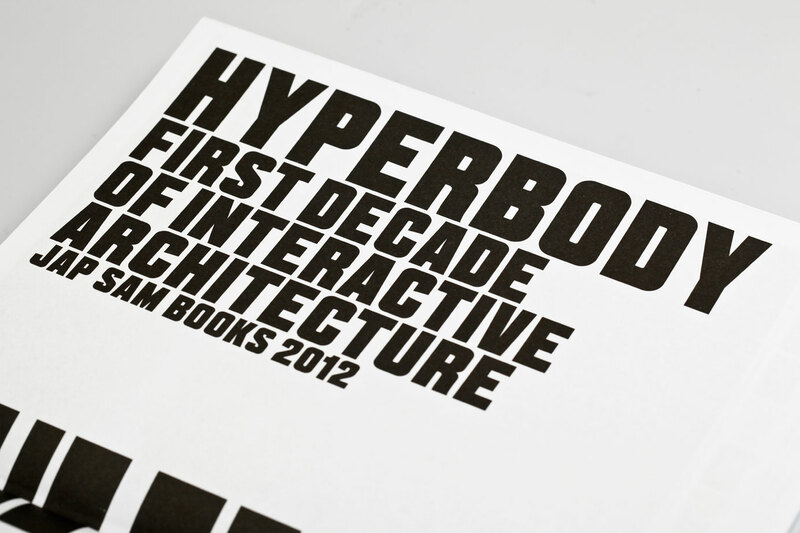 Hyperbody was selected for the Best Dutch Book Designs 2012. 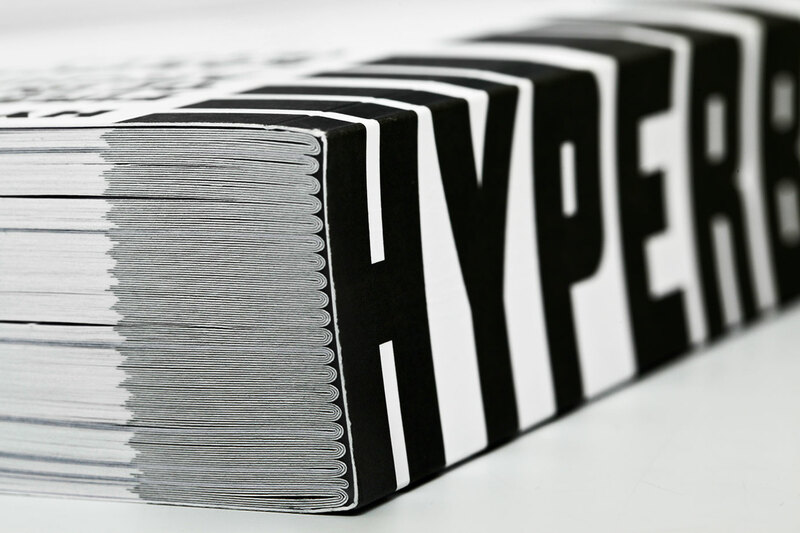 To emphasize the physical dimensions of the book, the spine carries the title in the form of a three-dimensional text. 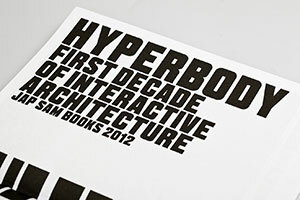 Hyperbody’s title page. 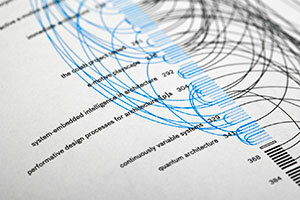 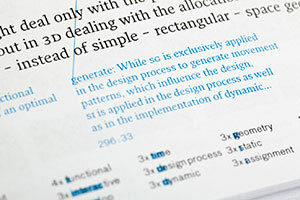 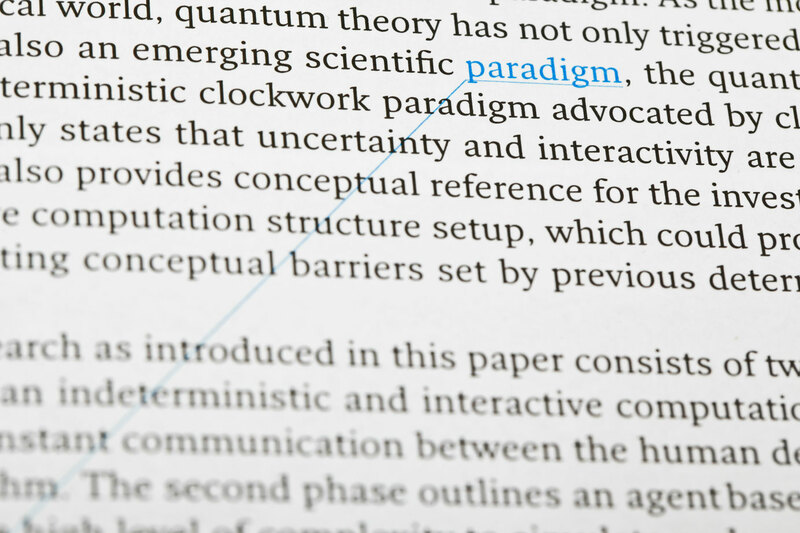 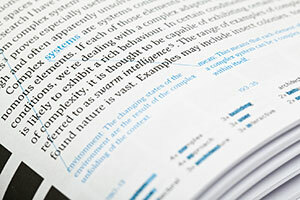 The chapter overview pages visualize the network of hyperlinks, with black showing the links across chapters, and blue – within. 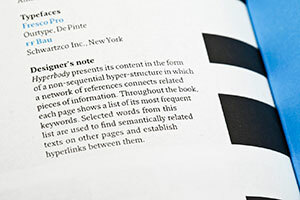 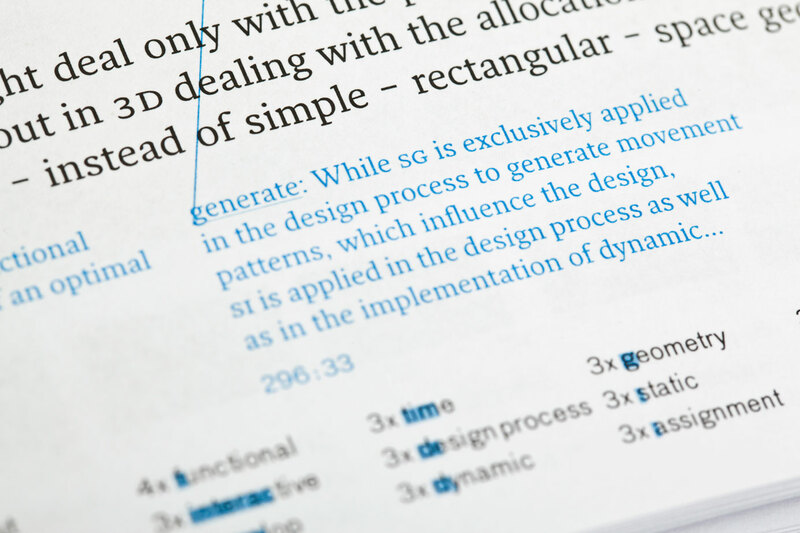 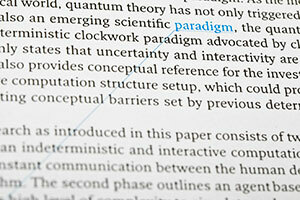 A short note in the colophon of the publication explains the design concept. The network visualization functions also as a table of contents. 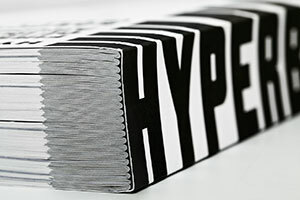 Every image page includes thumbnails of related images. 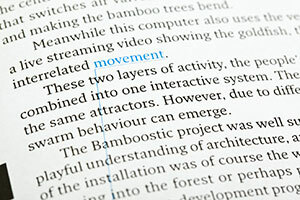 Text pages show links and snippets of the related paragraphs. 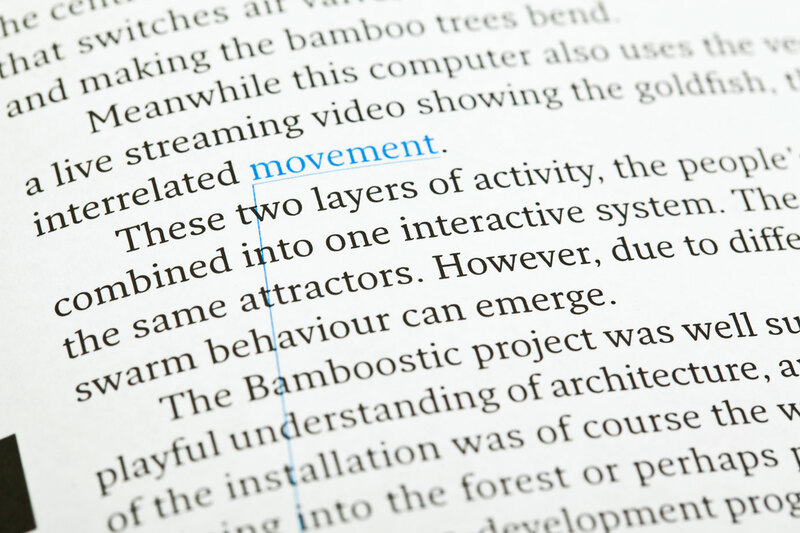 The hyperlinks are based on the semantic context of each keyword. 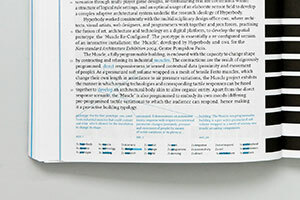 The length of the blue bars is proportional to the frequency of the word across the book, numbers indicate occurrences on the page. 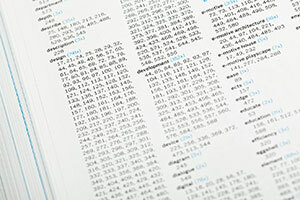 The back matter includes a comprehensive glossary that lists all the occurrences of the keywords.